A true friend is the one who feels proud of your success, lends shoulder on your tough times. True friend only gives you healthy criticisms, not discouraging ones. 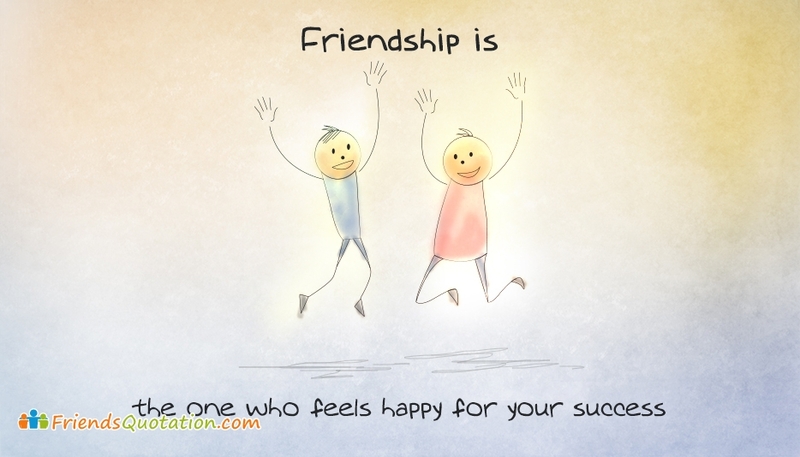 Download and send this "Friendship Is... The one who feels happy for your success" quoted image in messengers like Whatsapp, Hike, We chat etc to show your respect to your friendship.